Join Epiphan Video at SummitLIVE 2018 located at the Westfield San Francisco Centre on Wednesday May 30, 2018. SummitLIVE is the premier event dedicated to enterprise B2B marketers, tech, and live streaming solutions. Attendees gain exclusive access to the latest trends, vital solutions, and breakthrough case studies in the revolutionary live video space. Learn how top companies—such as Microsoft, Salesforce, and Twitch—are using live video to hack ROI, enrich sales funnels, refine acquisition strategies, maximize engagement, and drive conversions. The Epiphan team will be delivering a series of workshops to help attendees master the technical and production side of live video, covering topics such as live streaming tips, common setups, and how to put together a live streaming studio. Attendees will also get a glimpse into our popular all-in-one live production hardware, Pearl-2 and Pearl Mini. Learn more about SummitLIVE and purchase tickets at the SummitLIVE events page. 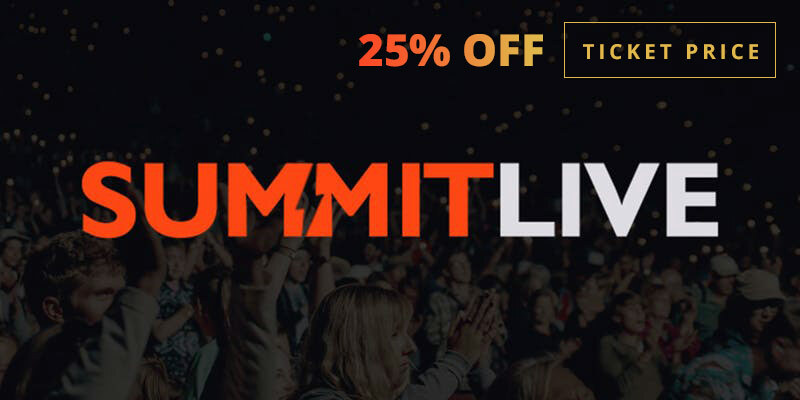 And for a limited time, get 25% off your SummitLive ticket price using the code epiphanVIP at checkout.